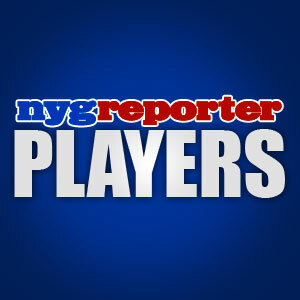 NEW YORK – The Giants have started making roster moves. The biggest signing of the day was Boston College star LB Mark Herzlich. This is a kid that seems to charm everyone he meets and he has also shown his inner strength by beating cancer. I do not want to focus too much on him beating cancer (awesome story) because I’m sure this young man wants to put that all behind him and focus on the future. I hope other sports writers will leave him alone about that too. Let the kid play football now. Giants GM Jerry Reese continues to show why he is an elite general manager in the NFL by having a great morning in the free agent market. The collection of undrafted rookies he has made deals with all bring unique talents to the table. Of course, Herzlich was projected to be a first round pick before he got sick and I have been hearing a lot of good things about this fullback Hynoski. I will list a few of the players below but this is by no means the complete list. These are just a few players the team has worked on this morning. You can absolutely expect the list of players to grow but I thought I would give our readers a taste of what the day has brought so far. You can expect the madness to continue throughout this week and all the way up until the season starts. The two biggest needs for Big Blue are linebackers and offensive linemen. Let’s take a look at some of the players the Giants were able to grab today. Which player are you hoping the G-Men will re-sign out of the current Giants free agents? This entry was posted on Tuesday, July 26th, 2011 at 12:34 PM and is filed under 2011 Fantasy Football, 2011 New York Giants, 2011 NFL Draft, 2011 NFL Lockout, 2011 NFL Minicamp, 2011 NFL Preseason, 2011 NFL Regular Season, 2011 NFL Training Camp, Big Blue, Chris Mara, East Rutherford, Eli Manning, G-Men, Giants, Giants Coaches, Giants Draft, Giants Front Office, Giants Mini Camp, Giants Roster, Giants Stadium, Giants Training Camp, Giants Transactions, Hamps Camp, Jerry Reese, John Mara, Jonathan Tisch, Justin Tuck, Kevin Gilbride, New Jersey, New Meadowlands Stadium, New York, New York Football Giants, New York Giants, NFC East, NFL, NFL Draft, NFL Lockout, NFL New York Giants, NFL Schedule, Nilay Shah, NY Giants, NYG, NYG Blog, NYG Draft, NYG Exclusive, NYG Fantasy Football, NYG Minicamp, NYG Preseason, NYG Regular Season, NYG Reporter, NYG Schedule, NYG Story, NYG Training Camp, NYG Website, nygreporter, Pat Hanlon, Perry Fewell, Roger Goodell, Steve Tisch, Timex Performance Center, Tom Coughlin, Tom Quinn. You can follow any responses to this entry through the RSS 2.0 feed. You can leave a response, or trackback from your own site. I love that jerry reese is a guy that giant fans know is on it and will get it done,and for some strange reason,i still believe the g-men have a chance at plaxico burress or a wideout with the same skill set,and even though i believe the giants wide receivers are extremely talented,i would love to see a another veteran wideout signed by the g-men this season,especially not knowing what the situation is with steve smith the g-mens veteran receiver. Hi Bobby, we are very lucky to have a GM like Jerry Reese. We never have to worry about stupid choices being made or even bad choices for that matter. I’m really not worried about the Giants WR’s. The offensive line is going to need work and depth though. With the team releasing Rich Seubert, we are going to be even more thin then we already are. I’m going to miss Seubert as most other Giants fans are. A big amen to that,with suebert gone,im wondering if the rookies jaquain williams and james brewer will contribute right away,or will they be a work in progress.i know with the lack of time because of the lockout,it will be extra hard for the rookies to step up this season,but i have extremely high hopes this year for big blue. I think Petrus will get more playing time now. I agree these rookies will not be ready very fast this year due to the lockout and lack of work with the teams. I don’t expect very many rookies league wide to make an impact this season. Just one of the downsides of the lockout. A rookie player would have to be exceptional to get on the field in 2011 in my opinion.